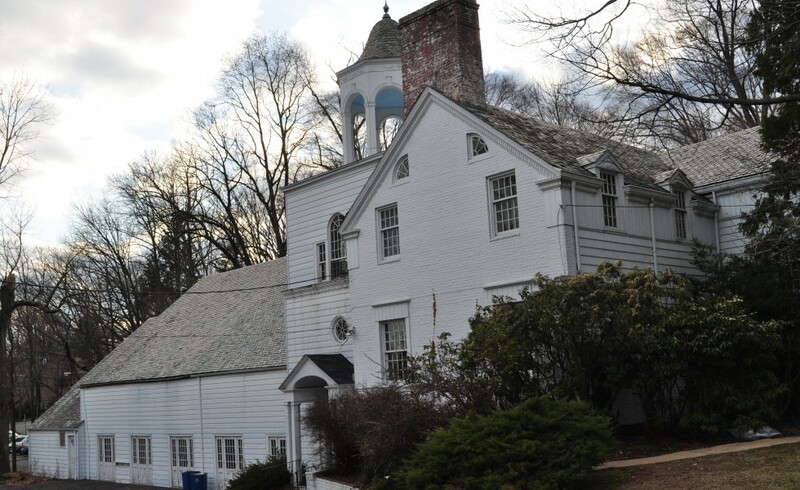 The Woman’s Club Building is now known as “The Woodland” and is available for private event rentals. The Maplewood Woman’s Club has played a vital role in Maplewood and beyond, from fundraising for student scholarships and activities, and the establishment of a community house and well-baby clinic, to raising money for a fighter plane during World War II. The organization’s birth and tremendous growth in membership occurred during Maplewood’s rapid development as a railroad suburb in the first half of the 20th century. Maplewood Mayor John DeHart, a visionary in the planning of the township at this time, noted that the Woman’s Club was “always at the forefront of community activities.” The conscious choice of a design for its clubhouse that reflected the colonial history of the country, as well as that chosen for the civic buildings of Maplewood, expressed the Club’s intent to be an important force in the community. As a purpose built clubhouse, the building is a tangible expression of the changes in the life of American women from the early 20th century to the 21st century, and their aspirations. The Maplewood Woman’s Club embodies community service and community involvement—attributes that continue to be associated with Maplewood to this day. The building represents the nationwide trend of women’s club organization in the decades following the Civil War. As more and more American women entered the workforce in the decades following World War II, there were further changes in American domestic life. The Maplewood Woman’s Club responded to these changes by offering different types of membership and ways to be involved. By the latter part of the 20th century, fewer women were joining women’s clubs. The demands of work and other activities left more women with less time. While the impetus to volunteer in one’s community remains strong, today the opportunities are many and varied, and not focused on a single organization.